1)	What is your role in Remy Cointreau? I joined RC to bring our brands to the bars in the South East Asian region. I will be training bartenders on spirits profiling, bartending techniques and how to create cocktail recipes using our brands. I focus on marketing to the on-trade channel. 2)	You have been a bar consultant for 7 years, can you tell us some of your portfolios? My last project was the Fairmont Bar in Singapore. I designed the bar and the drinks menu. I worked with Diageo Reserve's World Class Program across Europe and participated in Singapore 2010. I have also worked as consultant for numerous brands including luxury whiskies across the region but this is my first dedicated brand role. 3)	What drew you to RC? RC has a portfolio of prestigious spirits which are truly world leaders and authentic brands. We have Cointreau which is the original triple sec, Mount Gay Rum, the worlds oldest rum, The Botanist, an artisanal gin and Bruichladdich (Laddie) (pic. ), a single malt brand that produces the world’s most peated whisky. 4)	What is your favourite spirit for cocktails? I love Gin. There are so many opportunities from this spirit because of the botanicals (flavour ingredients) used to make it. The Botanist Gin is made of 31 botanicals that go through an 17-hour slow distilling process that makes the gin so complex. 22 of these are hand picked in the island of Islay. This complexity gives many different dimensions for creating cocktails. You can start with spice, citrus, herbs, fresh fruits and they can all taste very different but distinctive to the gin brand you use. 5)	How about your least favourite? Vodka is a tough one. As soon as you start mixing with strong flavours, vodka just becomes alcohol. A good vodka however, should be savoured neat or on ice. 6)	Tell us more about your cocktail creation using Octomore. Octomore is the most peated whisky in the world marked at 167 ppm (parts per million) but it doesn’t hit you in the nose. Making cocktails using whisky is always a challenge but this whisky works well with aromatic ingredients like lychee. 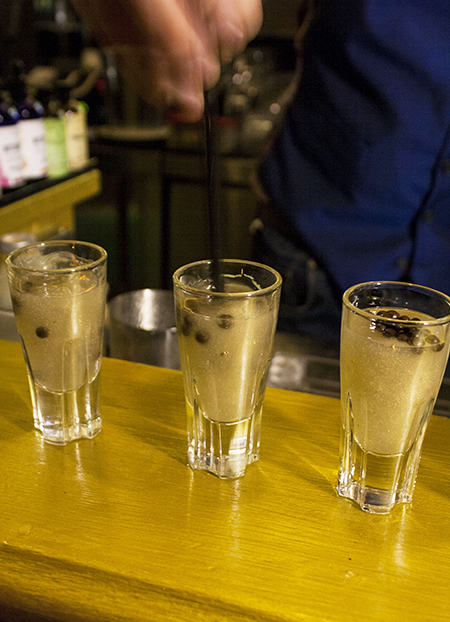 Lychee liquor can taste overpoweringly artificial if you mix it with a less strong flavor spirit such as vodka. In Eastern Isle (pic. ), the peat flavour pairs well with the floral lychee. I also added ginger into the recipe to bring out more of the spice which also compliments the smokiness. 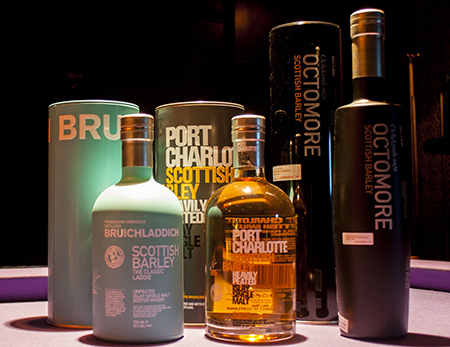 7)	How are you going to market Bruichladdich in Malaysia? We will be making it available in more 'crafty' cocktail bars. The brand has its story to tell and the passion of the people to share, which makes a great product for bartenders to sell because that can keep the customers coming back for more. 8)	What is RC doing next for the bartending scene in Malaysia? We will be holding a Mount Gay rum competition in September and that should be exciting!